Please join us for the MIMS Workshop Optimising delivery of respiratory care for patients with asthma and COPD: an interactive study day . This free-to-attend interactive meeting will be discussing key topics in asthma and COPD. This one-day workshop is free for healthcare professionals to attend. 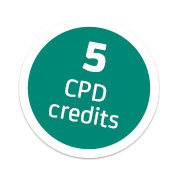 You can earn 5 CPD credits towards revalidation. Places are available on a first-come, first-served basis – register now to avoid disappointment. This meeting was initiated and funded by Teva Respiratory. There will be a separate area of the meeting with a promotional stand and materials.